In the beginning, God created everything. There was nothing, and then there wasn’t. The universe was absent, and then it was there. Have you ever stopped to consider what the first verse of the Bible tells us about God? In one verse, God created an entire plane of existence so complex that the human race has only just recently begun to unravel its mysteries. Plant cells, as seen by Robert Hooke c. 1665. 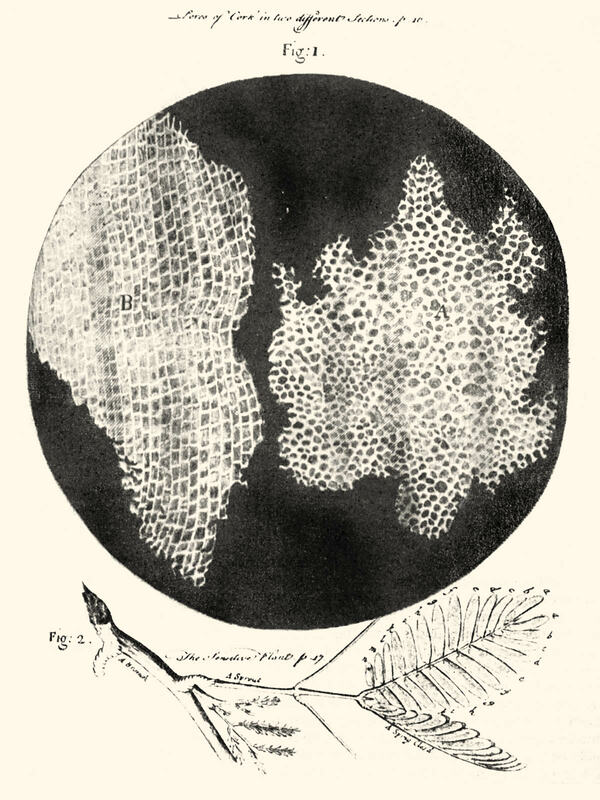 In the seventeenth century, when Robert Hooke was pioneering the scientific uses of the microscope, he examined a piece of cork and discovered a honeycomb-like lattice composed of small, discrete units he called “cells.” Today, centuries later, we understand that these simple, featureless cells are actually complex ecosystems, packed full of genetic machines more advanced and more elegant than anything mankind has ever created. Contained within a single cell are strands of deoxyribonucleic acid, hard coded with a programming language that provides the instructions for life. These strands are housed in the nucleus—essentially the cell’s command center—and they are surrounded by incredibly complicated structures known as organelles. The mitochondria, for instance, function as microscopic power plants, generating fuel for the cell to use, while the Golgi apparatus manufactures, houses, and dispatches tiny cellular machines like lysosomes, which are responsible for cellular digestion. And that’s just scratching the surface. We could talk about ribosomes, the endoplasmic reticulum, cell membranes, centrioles, peroxisomes—the list goes on, but you get the idea. A single cell is a vastly complicated place filled with vastly complicated equipment performing vastly complicated tasks, and God designed every bit of it. What Hooke saw as simple white blobs were in fact a collection of microscopic worlds planned and structured by God Himself. But enough about biology. Let’s lift our eyes to the heavens and gaze there for a moment. Until men like Copernicus, Galileo, and Kepler pointed their telescopes at the sky, the generally accepted belief held that the known universe literally revolved around us—that the sun, moon, stars, and planets all traveled in fixed circles around the Earth. Today, we know that our little blue planet is just one tiny little dot in one tiny little solar system floating in one tiny little arm of one tiny little galaxy traveling through an impossibly large universe filled with more wonders than we can begin to understand—vast, gaseous nebulae that stretch on for light years, black holes so dense that even light itself cannot escape their pull, perpetual storms and planetary rings of ice, galaxies filled with binary and ternary star systems, and supernovas whose own collapsing cores generate shockwaves capable of shredding planets and ripping solar systems to pieces. And God designed it all. 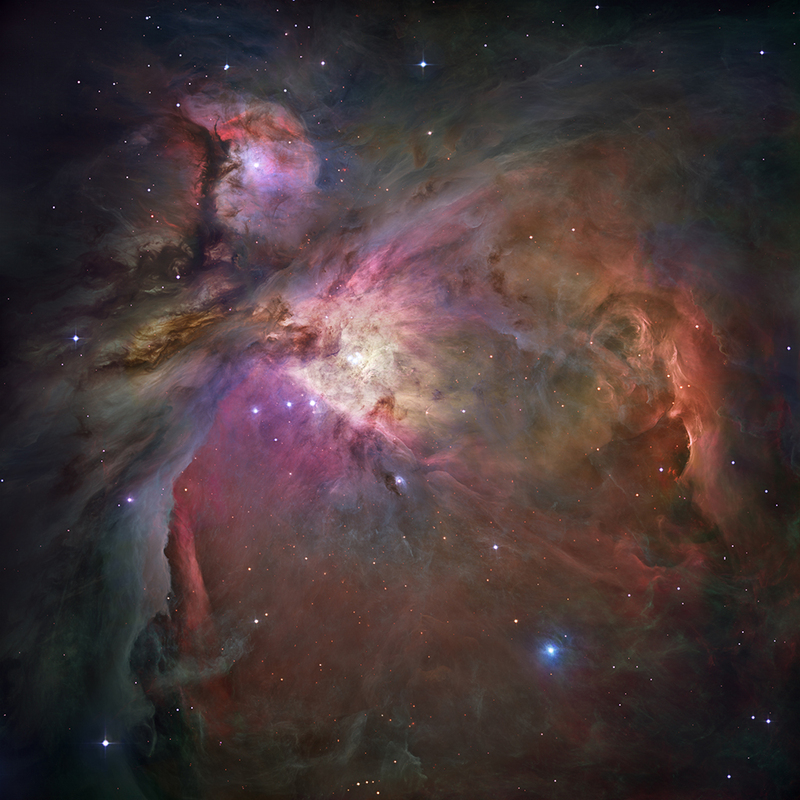 The Orion Nebula, captured by NASA via the Hubble telescope. From the delicate precision of the cellular world to the vast, awe-inspiring expanses of the cosmos, the fingerprints of God are everywhere—and it’s only recently, after six millennia of human history, that we’re beginning to understand exactly how little we understand about God’s creation. Everything is more complex and more elegant than we ever could have imagined 100 or even 50 years ago. Cells are made of organelles are made of molecules are made of atoms are made of subatomic particles are made of elementary particles like quarks and gluons, each of which are governed by masterful, unchanging physical laws that the world’s greatest scientists are still struggling to wrap their heads around. Meanwhile, those same physical laws hold sway over the planets and suns and moons traveling at mind-boggling speeds through the inky vacuum of space, locked in orbits locked in solar systems locked in galaxies locked in a universe that is, to the best of our knowledge, actually expanding with every passing moment. “When I consider Your heavens,” wrote David, “the work of Your fingers, the moon and the stars, which You have ordained, what is man that You are mindful of him, and the son of man that You visit him?” (Psalm 8:3-4). When God reached down and molded the first man out of the dust of the ground, He did so with a purpose. When He gave that man a mind with which to reason and learn and understand the world around Him, He was looking toward a much bigger picture—a picture revealed in part by His holy day plan. And now here we are again at the end of that plan. We’ve gone through another year of rehearsing the holy days and festivals that remind us of why we’re here and what God is doing with us, beginning with the sacrifice of Jesus Christ and stretching all the way to His Millennial reign as King of kings and Lord of lords. And then we don’t know. That’s as much of the story as we’re given, with the exception of a few choice glimpses beyond that final curtain. But it isn’t the end. The Last Great Day is not the end of the plan; it’s the end of the plan that we know. God doesn’t tell us what comes next, but do you believe for one second that the God who brilliantly sculpted all the marvelous complexities of our vast universe doesn’t have a plan for what happens after Revelation 22? Do you think Jesus Christ suffered and died so that we could twiddle our thumbs with Him for the rest of eternity? Far more likely, I think, that the things coming after the completion of God’s holy day plan are far too grand for our simple human minds to comprehend. Here we are, trying to unravel the mysteries of our physical universe, and we can’t even grasp the half of it. What are our chances of having even the foggiest conception of anything God might reveal to us about the age to come? Whatever God has planned, I do know this: Our physical world was designed by God to be temporary, and if God put this much effort and beauty into the design of something that was never intended to last forever, the age that’s waiting for us must be truly incredible. And the Spirit and the bride say, “Come!” And let him who hears say, “Come!” And let him who thirsts come. Whoever desires, let him take the water of life freely. … He who testifies to these things says, “Surely I am coming quickly.” Amen. Even so, come, Lord Jesus! 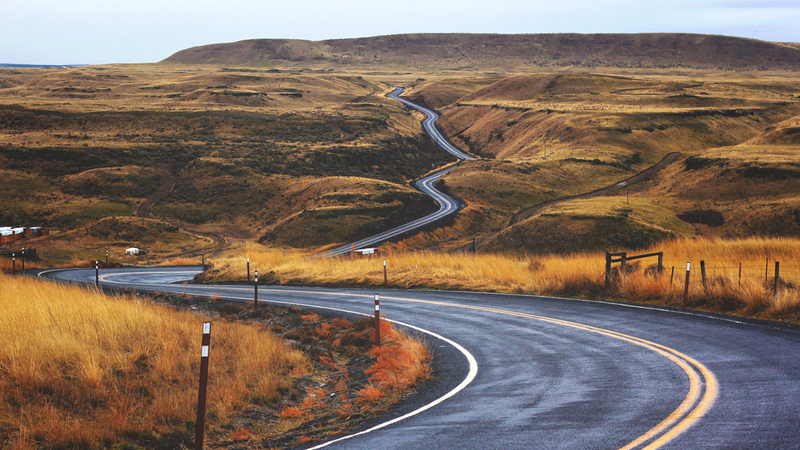 6 Responses to "Peering Beyond the Final Chapter of God’s Plan"
Thank you Jeremy so much, but most of all, I praise our Great and Awesome GOD for you dear friend. How beautiful you have used your words. Thank you. Jeremy, I was thrilled to meet your Mother during the Feast. I appreciated her service with paying hymns and told her how I appreciate all your writing and pray for all of our young adults to continue to walk in God’s way with humility. God has given you a depth of discernment I did not have at your age. There are lots of temptations out there for all of us but I fear the temptations for our youth are insurmountable without God’s help. Know that we are praying for you and your future in God’s family! Thanks for all your hard work! The last Great Day of Gods Holy Day plan is the beginning of our future. If we choose to let our imagination go there we can see just a glimps of what God has in store for his family. We won’t be idle. We have a universe to explore and we won’t be limited by a physical existance. At that time we can be trusted by the Father to go anywhere they send us or allow us to go knowing we will do the right thing at all times as they do. What a time to look forward to.